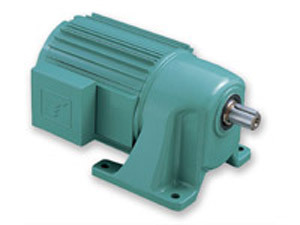 Gear motors eliminate uncomfortable noise and are the most compact and easy-to-use designs available today that allow for efficient automation and high productivity in any field. With a face-mounted configuration, the gear motor bolts are applied on the output side where the threads are located. This configuration improves stability and overhung load strength, allowing full utilization of the output shaft. Uncomfortable noise levels have been eliminated (6dB decrease in Tsubaki tests) using new technology and integrated design concepts.